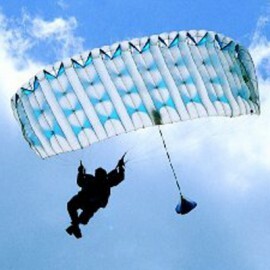 Xaos-27 Canopy by Precision--Free Shipping! The Xaos-27 features Stabilrib technology, continuous suspension lines, lateral reinforcement bands, and a refined leading edge for amazing performance. Warning! 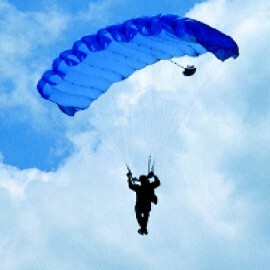 A minimum of 500 elliptical ram-air jumps experience is required to purchase this canopy. 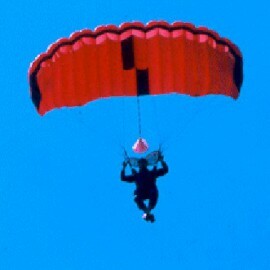 The Xaos-27 was designed by the makers of the Icarus Extreme VX, which was the first 27 cell, cross braced, ultimate swoop machine released in 1998. The Xaos-27 was the product of a four year research and development project aimed at outswooping, and improving upon the openings of the Icarus Extreme VX. 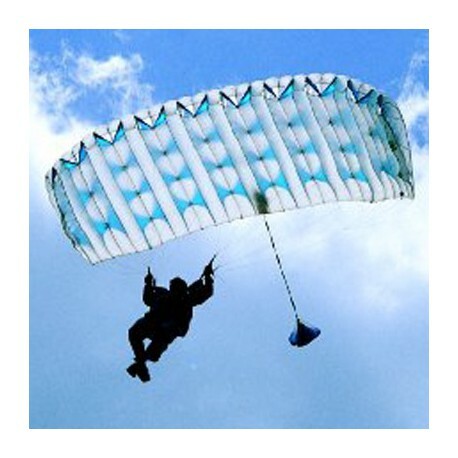 This high performance parachute, by Precision Aerodynamics, features Stabilrib technology, continous HMA suspension lines, lateral reinforcement bands, and a refined leading edge. All of these result in better airfoil performance during all flight modes, improved flight stablilty, and an opening sequence acceptable to freeflyers, camera flyers, relative workers, and any other terminal velocity discipline. The openings are SWEET! 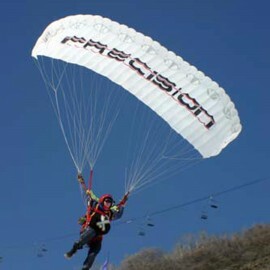 Precision has delivered ultra performance canopy flight that defies gravity! 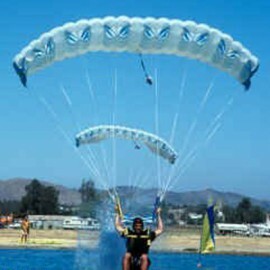 The Xaos 27 comes in the following sizes: 58, 68, 78, 88, 98, 108, and 118. 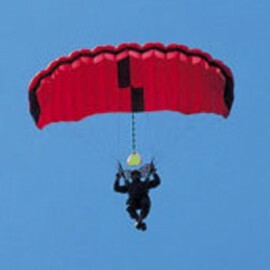 The Xaos 27 parachutes can be customized with the following colors: Black, White, Red, Watermelon, Silver, Magenta, Raspberry, Blackberry, Turquoise, Tangerine, Yellow, Gold, Lemon, Lime, Green, Jade, Light Blue, Royal Blue, Navy Blue. 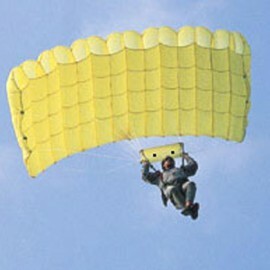 To design your own custom color Xaos-27, click here. 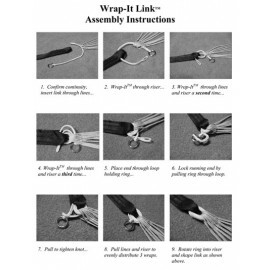 For custom orders, download an order form here. 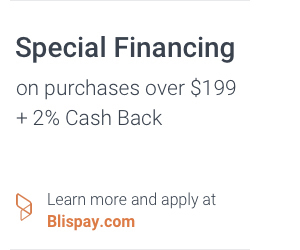 Please complete and email it to: Sales@RockSkyMarket.com. We will take care of the rest!